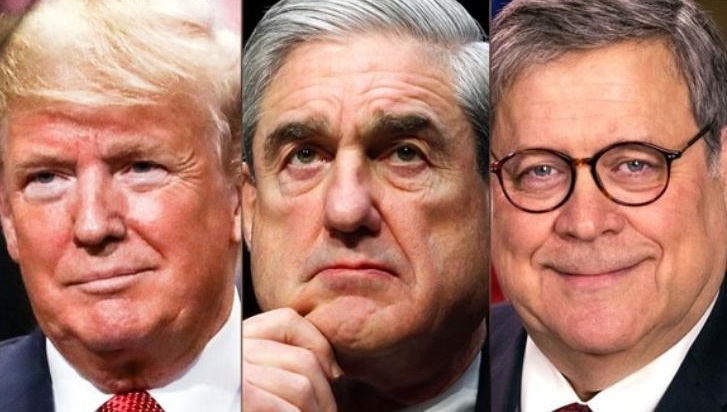 Attorney General William Barr told lawmakers on Friday that he expects to have a public version of special counsel Robert Mueller's report ready for release by mid-April and that President Trump has deferred to him to decide what makes it into the redacted document. "Our progress is such that I anticipate we will be in a position to release the report by mid-April, if not sooner," Barr wrote to House Judiciary Committee Chairman Jerrold Nadler (D-N.Y.) and Senate Judiciary Committee Chairman Lindsey Graham (R-S.C.). Sen. Dianne Feinstein (Calif.), the top Democrat on the Senate Judiciary Committee, had separately given Barr an April 1 deadline to turn over the document. Barr and Deputy Attorney General Rod Rosenstein ultimately judged that the evidence was insufficient to charge Trump with obstructing justice, which requires proving that an individual acted with “corrupt intent” to impede an official proceeding.